Federal Way Custom Jewelers has served the people of South King County from the community of Federal Way, Washington for over two generations. The store was opened in 1955, and it remains today the oldest continuously operating jewelry store in the region. It began as one of the original complement of businesses included in the Federal Way Shopping Center. This was the first shopping center in Federal Way, and was quite innovative for its time, with multiple buildings, and each of the 50 merchant spaces named for one of the states. The shopping center, located on Pacific Highway South (then known as Federal Highway 99, which became the city's namesake), featured many historic log buildings from pioneer days. There was also an Olde World Square, which was constructed with the guidance of European craftsmen, an indoor amusement center known as Toray, as well as a passenger train, which encircled the property, among other attractions. The shopping center was considered visionary for its time, but eventually, as explosive growth and inevitable progress came to Federal Way, it was slated for redevelopment as a new shopping center. It was at this time, exactly 40 years later, in 1995, that our store was relocated to its beautiful and more spacious current Federal Way location in Sea-Tac Village, across from the Commons Mall, where we continue to serve the wishes and desires of our many wonderful customers. While our physical location and community have changed in the last 50 years, so too have the products we offer. Starting as a small family business selling simple jewelry and watches, we have evolved to be a full custom jewelry store. Rene Criss purchased the store in 1981, bringing a passion for colored gemstones that forever changed our business. Starting locally, then nationally, Rene would travel to buy gems from miners and cutters alike so that he could offer his clientele gems that no other stores at the time were even aware of. Through the incredible years of plentiful Australian black opal and rare tourmalines, Rene became known for one-of-a-kind pendants and rings that today are impossible to replace. In the nineties we were fortunate to expand our offering of gems to include rarities like spinel, fancy colored diamonds, rare garnets, alexandrite, and many others. To match our ever changing selection of colored gemstones we have had to modernize our jewelry manufacturing process. We are now able to make totally custom pieces in half the time as before thanks to our Cad-Cam software and the ability to order parts and diamonds through online Jeweler's networks. We are proud of where we are today, and we still delight in being able to provide exemplary gems in custom settings at great prices. Federal Way Custom Jewelers represents the manifestation of creativity and value for our customers. Rene and his team of jewelry aficionados are proud to be a part of every precious moment aided by jewelry from our store. Rene Criss became the owner and manager of Federal Way Custom Jewelers in 1981, purchasing the business from the family who founded it in 1955. Federal Way Custom Jewelers is still a family operated business: Rene has two children, one of which works in the store, and his marriage to Lorraine Meckley-Criss in 2002 brought her into the mix and she continues to support Rene and the business with her vast business and IT knowledge. As for Rene, his years of relationship building have made many international contacts and access to the finest gemstones in the world. Perfectly cut diamonds are just the beginning of the “Criss-stonian” experience known by anyone who has visited his store. As the store’s primary buyer creative force, he personally meets with cutters from around the world every six months and chooses each individual stone for its unique beauty. Rene leads our staff in extensive knowledge of rare and exotic gems. It is our mission to expose our clients to the world’s finest sapphires of every color, deep blue/purple tanzanite, extraordinary opals, a rainbow of colors in garnet, spinel and all the rarest stones that are not available in the malls and chain stores. Rene has been ahead of the curve in insisting that beautiful custom jewelry starts with exceptional stones. Under his mentoring and provisions, we are all deeply passionate about our participation in the family business. As a result, we have been blessed with success and a well earned reputation for high quality jewelry. Rene takes special pleasure in getting to know his client's preferences, so that he can buy stones and design special pieces that match those preferences perfectly. Sean Criss was born into the jewelry industry but officially joined the Federal Way Custom Jewelers team as a salesman in 2007. His specialty is jewelry design -from the classically elegant to the modern and artsy. He loves to work with exotic "wow" stones, especially those with unique faceting or carving patterns, although he can do amazing things with diamonds for engagement rings. All of Sean's designs are cherished works of art in households around the country. Aside from being an amazing designer, Sean is an Accredited Jewelry Professional with the Gemological Institute of America and has a large knowledge of colored gemstones. His favorite gem is tsavorite garnet due to its brilliant pure green color, but he likes to use a variety of gems in his work. Overall, Sean's natural creativity and interests in formal art and aesthetics make him an invaluable member of our team. 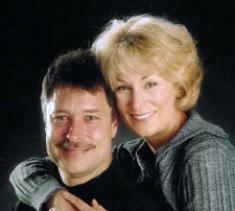 LaDonna Bryant joined Federal Way Custom Jewelers in 2010. Donna has almost 20 years of experience in retail jewelry sales and wholesale jewelry manufacturing, along with all of the amazing skills learned from being married with two grown children. Her favorite gemstone is diamond, and she is the in-house expert on diamonds (for a speedy and accurate diamond evaluation, go to her!) and engagement-ring styles of all kinds. Donna's experience in jewelry manufacturing brings a level of expertise in repair work to the business that allows us to complete complex repairs more effectively. Due to her love of antique pieces and diamonds she is also our go-to person when clients need help selling their gold or old jewelry. She polishes off her vast industry experience with the title of Accredited Jewelry Professional with the GIA. On her off time, Donna enjoys spending time with her family, jet skiing, reading, and spending time in her garden. 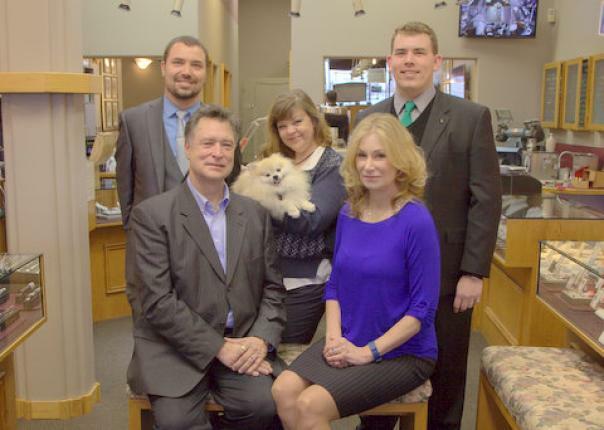 Lorraine Criss officially joined Federal Way Custom Jewelers when she married Rene in 2002. Since the beginning she has used her vast experience in the IT field to be our computer support and networking guru. She has now rejoined the business as the Operations Manager, following the departure of our longtime coworker and friend, Mason. We could think of no one better to fill the big shoes Mason has left behind, and we look forward to a smooth transition as Lorraine takes the helm. If you ask her what her favorite item of jewelry is, she would likely respond that she likes simple, elegant designs with big and beautiful diamonds! Brandon Moak started as our part time Operations Associate in 2008. His role at Federal Way Custom Jewelers has evolved to use his talents as a gemstone expert and curator of our antique jewelry collection. We joke that he is literally a walking encyclopedia of loose gems and antique pieces- but if you come and work with him, you will realize we aren't lying. When Brandon isn't identifying an item for a client or hunting down more antique treasures he busies himself as the Webmaster and marketing point man of our website. Brandon has a Bachelor's Degree in Biology from Seattle University, but most of his gem education has come from working hands-on in the field and collecting rare gems. When he is not working he enjoys boating, hunting down unusual watches, good food and spending time in his garden, where he is a nerd for rare plants.